Meet on arrival at Mumbai Airport by our representative and transfer to the hotel. Rest of the day free for your own activity. Overnight stay at hotel. Morning after breakfast proceed for city tour of Mumbai. Originally comprising seven islands, Mumbai is now the financial center of India. A tour to Mumbai provides you an unforgettable experience. 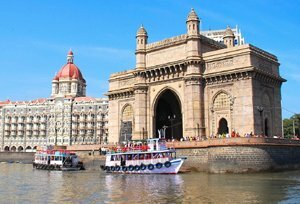 Afternoon, half day sightseeing tour of Mumbai starts with the Gateway of India - the most famous colonial landmark in the city, Prince of Wales Museum - one of the most eclectic museums in India, Hanging Gardens, Victoria Rail Terminus. Last but not the least a drive along Marine drive will prove to be a pleasant experience. Travel to Chowpatty Beach, where exuberance and excitement rule the roost. Overnight stay at hotel. After breakfast transfer to the Airport to Board the flight for Indore. Meet on arrival at Indore Airport and transfer to the hotel. Rest of the day free for your own activity. Overnight stay at hotel. 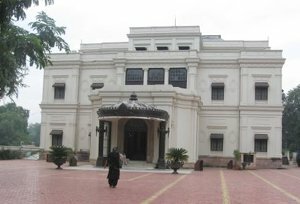 After breakfast full day city tour of Indore, visiting Lal Baag Palace - The 28 hectares Lal Bagh Palace is one of the imposing testimonials of the Holkar dynasty. An expression of their culture and opulence, the ancestral palace of the great regime, Lal Bagh Palace is one among the finest monuments in Indore. Bada Ganapati: The popular belief is that Bada Ganapati is the hinderer of all obstacles so devotees render highest regard to this idol. The gigantic statue of Ganapati is a fascinating attraction of this pilgrim center and large folks frequents here to have a darshan of this gorgeous deity. Kanch Mandir: Kanch Mandir exhibits complicated patterns of glass paintings, which are painted with utmost devotion. The paintings display unique talent and try to depict the various aspects of Jainism. The special glass chamber at the top of this remarkable shrine has a raised statue of Mahavira, which is having a multiplied effect. Krishnapura Chhatris: Chhatris (cenotaphs) are the royal tombs of the erstwhile rulers of the Holker clan. These cenotaphs are placed on the banks of the beautiful river Khan, and these chhatris exhibit excellent architectural brilliance. 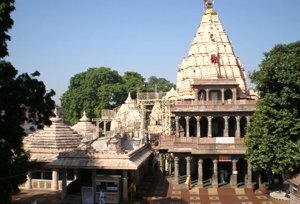 Gomatgiri: Gomatgiri, a small hillock amid beautiful environment is a holy place for the devotees of Jain religion. Situated around 10 km from the airport, the hillock has a 21 feet Gomateshwara statue and 24 marble temples, each dedicating to one of the 24 Tirthankaras of Jain religion. Evening transfer to the hotel. Overnight stay at hotel. After breakfast drive to Mandu. On arrival at Mandu check-in at hotel. Later proceed local sightseeing of Mandu which includes magnificent Jahaz Mahal, Hindola Mahal, Houshang's Tomb, Ashrafi Mahal and Rupmati's Pavilion. Evening transfer to the hotel. Overnight stay at hotel. After breakfast drive to Ujjain. On arrival at Ujjain check-in at hotel. Evening to experience the awesome spectacle ritual at river Shipra. Overnight stay at hotel. After breakfast full day visit of Ujjain, visiting Mahakaleshwar Mandir, Vedha Shala (Observatory), Navgraha Mandir, Kal Bhairav Mandir. Evening transfer to the hotel. Overnight stay at hotel. After breakfast drive to Bhopal en-route visit to the carved dream of King Bhoj at Bhojpur and also witness the homes(caves) of the prehistoric cave dwellers at Bhimbetka. On arrival at Bhopal check-in at hotel. Later proceed for half day city tour of Bhopal which include Bharat Bhawan, Indira Gandhi Rashtriya Manav Sangrahalaya, Laxmi Narayan or Birla Temple, Upper & Lower Lake and Jama Masjid. Overnight stay at hotel. After breakfast excursion to Sanchi - Sanchi is founded in the third century by Emperor Ashoka to house relics of Buddha. Visit the archaeological site, the Mecca of Indian Art: Main Stupa, magnificent monument in the shape of a half-sphere on recounting his torana (carved porticoes) the life of Buddha museum with remarkable statues of Buddha, stupas and other Buddhist monasteries. Return to Bhopal and visit the museum, the Taj-ul-Masjid, a huge unfinished mosque built in the nineteenth century, the Birla temple and the Jama Masjid mosque in the other nineteenth century located near the bazaars. Overnight stay at hotel. After breakfast drive straight to Pachmarhi. On arrival check-in at hotel. 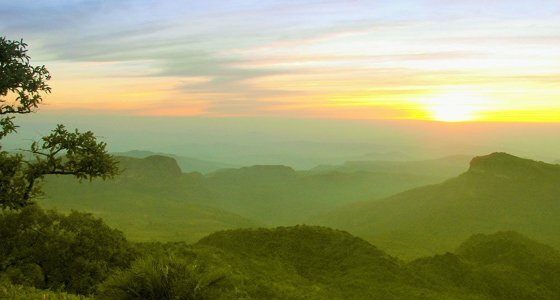 Pachmarhi is a hill station located on Satpura hills in Central India. This region was under rule of Gond tribe ruler Bhawut Singh in 1857 and was unknown for rest of the world. It came into light when British India officer James Forsyth was following Indian freedom fighters and reached this place. At present it is a small town with Indian Army cantonment. Overnight stay at hotel. After breakfast proceed for sightseeing of Pachmarhi. Here some points can be covered by taxi vehicles but some areas are restricted for taxi cars due to inaccessibility problem so gypsy is considered ideal for local sightseeing. Some points required visitor tickets where as some tourist points can be visited without any ticket formality. Pachmarhi tourist attractions includes Bee-fall, Dhoopgarh, Jata-shankar, Panar Pani, Pandav Caves, Gupt Mahadev cave, Bade Mahadev, Reechgarh, Handi Khoh, Priyadarshini, Duchess fall, Apsara Fall etc. Evening transfer to the hotel. Overnight stay at hotel. After breakfast straight drive to Jabalpur. 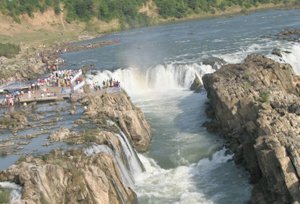 Jabalpur is one the major city of Madhya Pradesh located on the bank of holy Narmada River. On arrival at Jabalpur check-in at hotel. You can also visit Bhedaghat which is situated 25 km from Jabalpur city by the side of river Narmada. The most famous sights are the Dhuandhar Falls, Marble Rocks and the Chausath Yogini temple. Overnight stay at hotel. After breakfast transfer to the Airport for Delhi. Meet on arrival at Delhi Airport and transfer to the hotel. Overnight stay at hotel. Morning tour of Delhi visiting Raj Ghat and Shanti Vana - the cremation sites of Mahatma Gandhi and Jawaharlal Nehru, Jama Masjid and drive past Red Fort and Chandni Chowk. Afternoon visit Qutub Minar built by Qutub-ud-Din Aibek in 1199, Humayun's Tomb, India Gate (War Memorial Arch ), Also drive past President's House, Parliament House, Government Secretariat Buildings. Late evening transfer to the Airport for your onwards destination.